In February, the Mayor of London issued high pollution alerts across social media, bus stop signs, road-side displays and at Tube stations. It’s the tenth time Sadiq Khan has used the system since becoming Mayor and shows why he’s working hard to tackle London’s toxic air. We’re now just one month away from the launch of the Ultra-Low Emission Zone in central London. The 24/7 ULEZ begins on 8 April to help clean up London’s dangerously toxic air. It will replace the current T-Charge and operate within the Congestion Charge Zone. In central London. The 24/7 ULEZ begins on 8 April to help clean up London’s dangerously toxic air. It will replace the current T-Charge and operate within the Congestion Charge Zone. ULEZ is a world first, it’s expected to cut harmful emissions in the zone by up to 45% in just two years. The Mayor is calling on London’s drivers to check if their vehicles will meet the new tighter emission standards. The Mayor wants to help more people switch to electric vehicles (EVs). That’s why we’re now working with partners on a vehicle-to-grid charging project that rethinks EV batteries as a two-way energy source. It uses bidirectional chargers that both charge the EV and make smart use of unused electricity in the battery when it’s stationary. We’re now looking for commercial fleet operators with EVs to join the trial. Solar Together London uses group-buying to help Londoners get high quality, affordable solar panels on their homes. 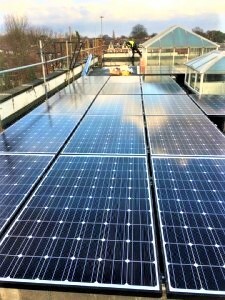 The scheme’s now reached 500 installations, helping to supply London with more low cost, renewable energy. To find out more about the Mayor’s ambitions for solar in London, see his Solar Action Plan.. Ten talented Mayor’s Entrepreneur applicants have received mentoring through C40’s Women4Climate programme over the last year. The mentoring has helped them develop their business ideas and get their careers off the ground. Seven of the group also went to the recent Women4Climate conference in Paris to represent City Hall. Mayor’s Entrepreneur awards take place on 25 March. We’ll be revealing details of the winners soon. 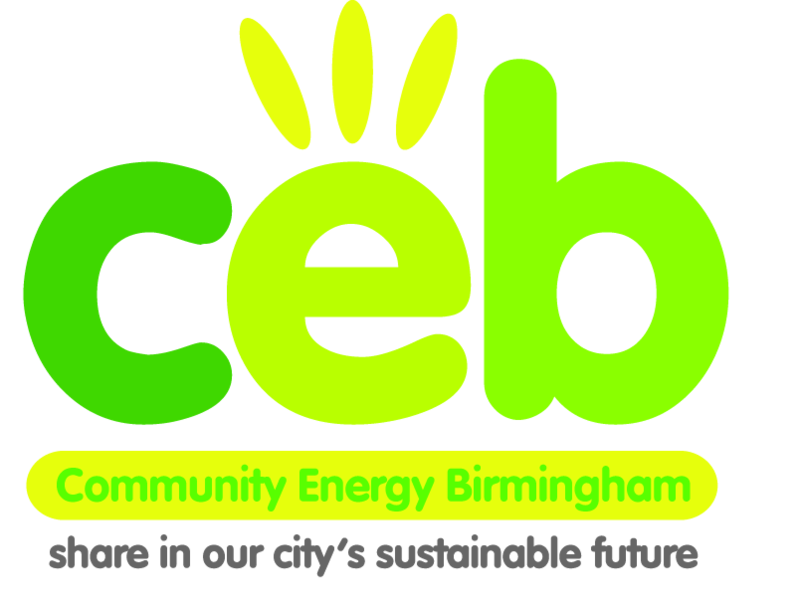 Read the eight sections about Birmingham’s Clean Air Zone (CAZ) scheme, which will come into operation on 1 January 2020, here. 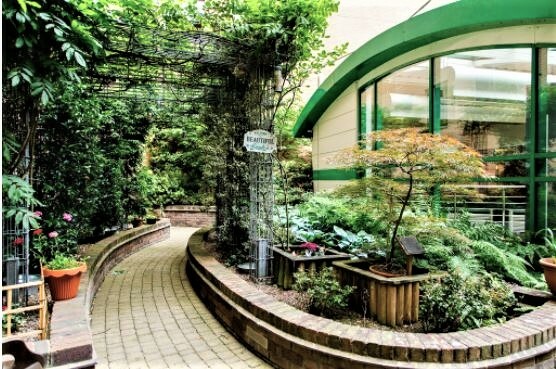 A Bull Street event next week will include the premiere of a short video which CANWM commissioned, celebrating many climate and sustainability initiatives in our region. 6pm – 6.40 Registration / Informal Networking. Visit display boards from various groups and share a vegetarian sandwich buffet*. 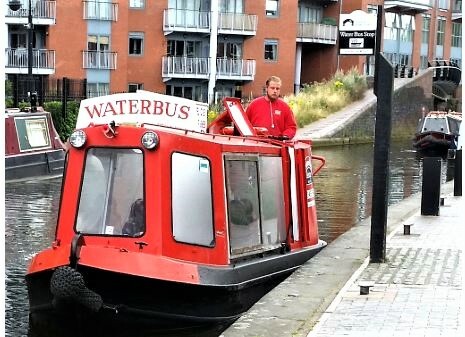 Birmingham recently hosted world’s first zero emission vehicle summit where Chris Grayling, the transport secretary unveiled plans which related only to road traffic – despite a Birmingham university team pioneering the use of the hydrogen-fuelled barge, in a city blessed with a network of waterways. The developers of Birmingham’s Icknield Port Loop – a joint venture involving Urban Splash, Places for People, the Canal & River Trust and Birmingham City Council – have today presented a site-wide masterplan showing family houses, apartments, business premises and leisure facilities. Birmingham Live reports that, following work on remediation and rebuilding of the canal walls started earlier this year, construction has started on the Icknield Port Loop scheme and the first homes are scheduled to be ready for occupation in Spring 2019 (artist’s impression above). 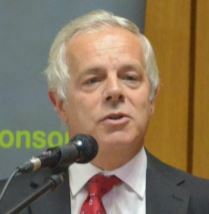 James Lazarus, Head of Property Development and of the joint venture at the Canal & River Trust, comments that more people will be encouraged to use the city’s canals and tow-paths to commute to and from work and travel to the city centre; he earlier wrote that C&RT is “aware of the potential to run a taxi service and provision is being made in the plans to facilitate this” (Email to CBOA chair, September 25, 2017). 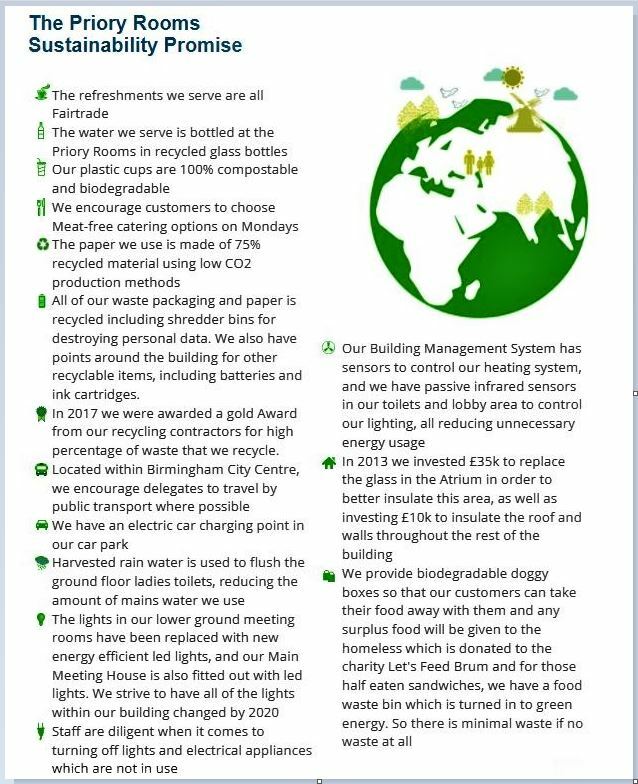 Those attending the Recycling and Waste Management Exhibition at the NEC this week were given a CBOA presentation illustrated by series of slides showing the advantages of carrying materials and waste by water instead of road. Will there be cleaner greener transport for Icknield Port materials, waste removal – and later for commuters? Near a Birmingham university team pioneering the use of hydrogen-fuelled barges and trains, in a city blessed with a network of waterways, Graeme Paton, the Times’ Transport Correspondent, reports that the government is hosting a meeting tomorrow to discuss ways of reducing traffic-related carbon emissions – ‘a world first summit’ (Business Birmingham). Despite the existence of an All Party Parliamentary Group for the Waterways and the use of water buses, taxis and ferries in so many towns and cities (details here) with London leading the way, Chris Grayling, the transport secretary, has unveiled plans which relate only to road traffic. green cars with zero emissions could be allowed to drive in bus lanes. spend £2 million to promote electric-powered “cargo bikes” for inner-city deliveries which have increased in recent years because of the surge in online shopping. Inrix, the traffic data company, said this year that Britain had the worst congestion in western Europe: “Motorists are spending an average of 31 hours a year stuck in peak-time jams. Average vehicle speeds in central London are as low as 7.6 mph”. ”One of the most energy efficient means of moving goods is by canal and the threat of global warming is resulting in a resurgence of interest in this means of transportation”: Professor Rex Harris, University of Birmingham. In 2014, the world’s first research centre for Cryogenic Energy Storage at the University of Birmingham established a five-year research chair appointment under the leadership of Professor Yulong Ding. The Royal Academy of Engineering and Highview Power Storage created and funded the Chair to explore the limits of this emerging technology, which could drive the development of variable renewable energy sources such as wind and solar power, converting excess/off-peak electricity into multi megawatts of stored energy. 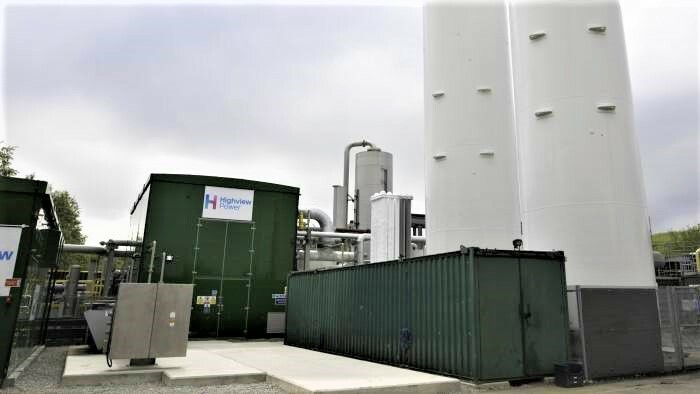 “The Pilsworth liquid air energy storage (LAES) plant, owned by Highview Power, will act as a giant rechargeable battery, soaking up excess energy and releasing it when needed. This is particularly useful with the rapid growth in renewable energy, which accounted for 29% of all electricity generated in the UK in 2017. It generates excess power when the sun is shining and the wind is blowing but is not reliable at times of peak demand. Coal-fired power stations that typically handled peak electricity demand are being shut down and National Grid, which owns and operates the electricity transmission network, pays small gas and diesel generators to bridge the gap”. According to Gareth Brett, chief executive of Highview Power. “LAES is arguably the only viable, non-polluting, long-duration, locatable energy storage technology available”. Read more about the Priory Rooms here. Localise West Midlands recently commissioned a video which highlights four local projects that stimulate local economies and decentralise economic power. It was filmed, produced and edited by Susan Jones, Redhead Business Films with funding from the Barrow Cadbury Trust. 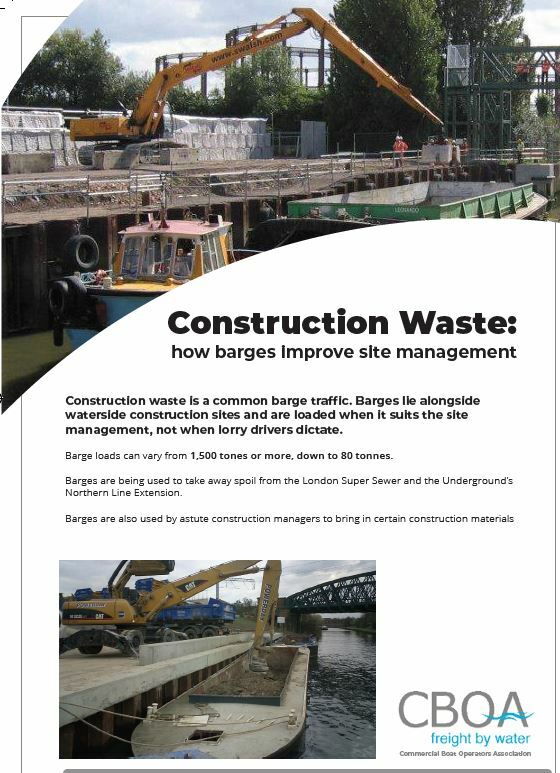 After seeing the video people who want more information should go to the LWM blog which has details of the four projects and the people involved. 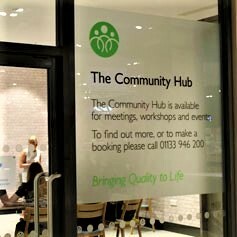 The new Midland Metropolitan hospital ‘anchoring prosperity in the community’ hopes that one of its retail units will be taken by a social enterprise; it would not only sell locally produced goods but act as a “concierge” type service for busy staff and visiting families, to access the services they need from local businesses. 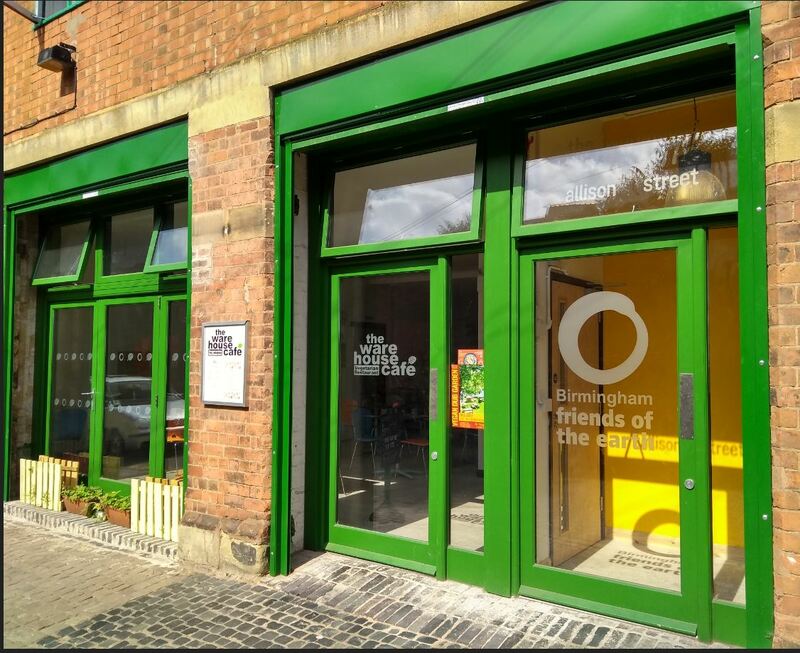 It would aim to make stronger links with local people and help towards regenerating local neighbourhoods, Ladywood, Soho and Smethwick in the same way as Citizen Home in the Jewellery Quarter. Inclusive business support ecosystems in Balsall Heath: Citizens UK and the Centre for Research on Ethnic Minority Entrepreneurship have been working together with business people in Lozells, Small Heath and Sparkbrook to achieve better engagement with support agencies, aiming to generate an inclusive business support ecosystem in these areas. Energy Capital is about collaborative sector development, in which energy innovation delivers on the needs of real people and the environment, with locally owned businesses involved at every level. RentE Cars is one of the local businesses that is taking advantage of electric car charging innovations. Social care, rather than being a problem, can be a positive force for inclusive economics that could help the West Midlands Combined Authority achieve its stated aims of sharing prosperity more widely – as a report by NEF for LWM outlines. Crossroads Care is an example of a locally accountable and adaptable enterprise delivering social care and economic opportunity. Localise West Midlands explores better ways to do economics – creating an economy which is lively and diverse & in which more people have a stake – meeting local needs with local resources. Climate Action Network West Midlands invites you to the official launch of our exciting Big Lottery Funded project. It’s a free public event for anyone in the region interested in sustainable community development and climate change. Hear some inspirational speakers on whole systems approaches to “green cities” and community development, followed by workshops to agree priorities for the project. The project goals are to support and encourage better links and communication between community / environmental groups and activists in order to increase engagement in climate change at community level in the region. an outline design of a web portal to support the “circular economy”. an overview of the project and our crowdfunding campaign for a community-level climate action fund. After a question and answer session with the speakers, there will be a “World Cafe” style workshop to discuss priorities for the project. Membership is open to anyone in the region who wants to support the international and UK goal of limiting global average temperature rise to 1.5 degrees C.